Japanese authorities gave the go-ahead yesterday to the construction of an underground ice wall around the nuclear reactors of the crippled Fukushima plant in attempt to slow down the build-up of radioactive water. Experts are still questioning whether giant ice wall will actually work. The construction of 1.5 km long ice wall that will surround reactors 1 to 4 will begin in June 2014. A series of thin pipelines will be inserted at a depth of 30 m, some 20 – 40 m apart, through which a coolant with a temperature of minus 40 degrees will be injected. This is expected to act as a physical barrier between groundwater and contaminated water. This entry was posted on June 2, 2014 by Amir Alwani. 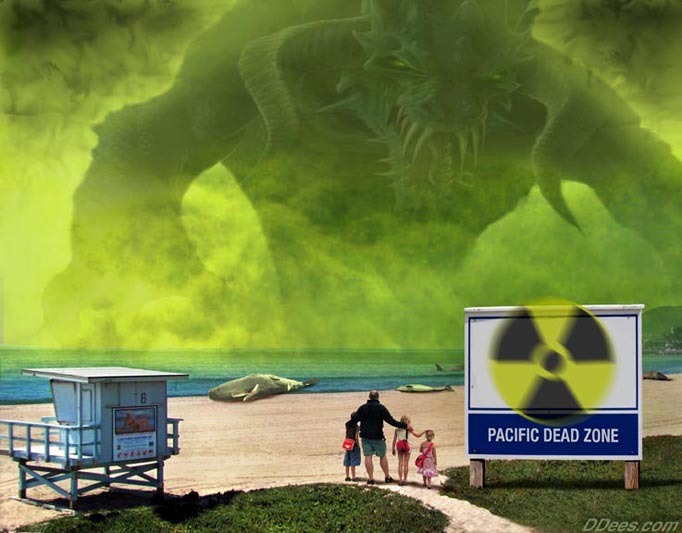 It was filed under health, Japan, natural / "natural" disasters, news, radiation, science and was tagged with Fukushima.